Jesus came to save the lost, but thankfully His help doesn’t stop there! He is always helping us learn Him and understand Him better. Join me as I look at this further. My thoughts about being a ‘future help’ were meant to be in contrast to the promise of the ‘ever-present help’ He is referred to in scripture. Of course He is our future help. He is our one and only help for all of time! You will understand this as you listen. Bless you today friends as you move forward in Him. Why Can’t I Hear God’s Voice? If you find yourself wondering if you are the only one who can’t hear God at times, think again! I dispel this myth and reveal a strategy to move forward resting in His love! Have a great day in Jesus!! These are my beautiful grapefruit trees! My grapefruit trees are flourishing. They are lush and covered with fruit. So heavy from the weight of the grapefruits they carry that their limbs bow as if Kings are passing by. The trees are bringing forth fruit in their due season. It is their season. Summer is not their season, spring is not their season, and fall is not their season. They are winter fruits and are preparing to yield an amazing crop to sustain a lot of people, in their season. I wanted to take a minute to share my thoughts this morning as I looked upon these trees full of big, luscious, green fruit. 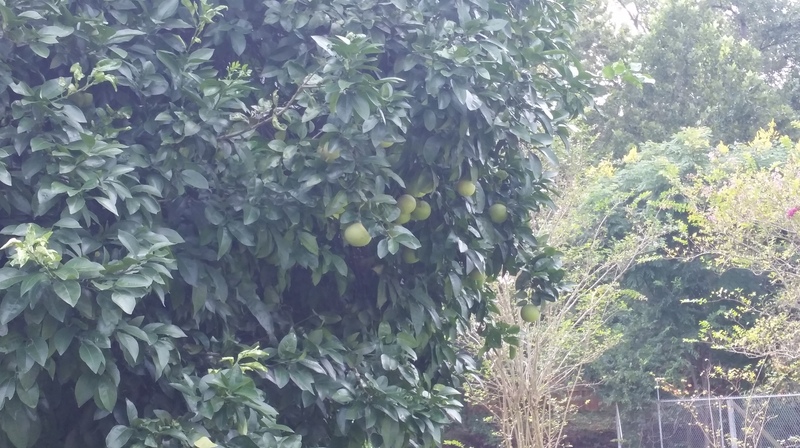 Here is this tree, full of fruit, yet no one can eat of it yet because it is not ripe and would be sour. Though we see the evidence of fruit, and know that it will be ready in a few months, it is not its season right now, so its fruit is not consumable. It is not ripe. Could this be you? You know your harvest is inevitable, you feel momentum, your tree is full of good fruit and you are flourishing, heavy, anticipating, uncomfortable, all bowed down and about to burst… but not consumable quite yet… The process of ripening is intricate when it comes to the maturation of citrus fruits, and I would suspect us too. Weariness is an inevitable challenge before any harvest. This weight will be relieved soon, but now you must hang in there friend and let this process finish. In whatever place this finds you today, He longs for you to have complete confidence in His love for you and His faithfulness. If you are either bare or full, you can rest in this place because you know that you are planted by the rivers of water that bring life. Jesus is life. You will not wither, you will not fail. He might be growing you, pruning you, developing or maturing your fruit, whatever the process, your harvest will come. Rest, trust and stay planted. And just like my grapefruit trees do, shine, nourish, drink in the plentiful rain, bow to your King, and enjoy where you are because your season will come. He is the well my friends, let us drink together! The government will be upon His shoulder. His zeal will perform this, not mine. What a burden we bear when we allow men to tie up heavy loads and put them on our shoulders…thank you God that we don’t have to settle for that as our life. The same God who assures us He sees our mess has also sent His Messiah, our great deliverer!! His Anointed One; who destroys the yoke!! He is our Counselor, He is our Peace, He is our Father and He purposed to send His Son, knowing that His shoulder could take the weight of every government ever established by man for every civilization for all of time. Have you allowed Him to? Have you given Him permission to be the bearer of your burdens? You know, by faith, we have to give them to Him, and then keep giving them to Him and keep giving them to Him and keep giving them to Him until the whole scene changes for us. And with taking our burdens, He also gives us something, a promise…”of the increase of His government and peace there will be no end.” There is no end to Jesus! There is no end to our advocate and great High Priest. There is no end to our deliverer, Messiah, Savior of the World, Lord! Father, in the name of Jesus, we declare that you are Sovereign over our nation and over our world. We stand believing that you have an understanding that far surpasses ours and that every remedy for our nature and world is ever-present in Jesus. We know that your Anointed One destroys every yoke and that one day every knee will bow and every tongue confess that Jesus Christ is Lord to the glory of God the Father. Thank you that though we are in this world we are not of it. Thank you that Your government and authority far surpasses every institution of man. Thank you that the increase of your government and peace there will be NO end. You are our Father, our Teacher, our Savior, our Lord. We lay our burdens down. We lay them down. We lift up our leaders today and ask you to turn their hearts to you. We lift up the massive amounts of injustice towards people and declare your deliverance and freedom to them. We lift up our world and declare your saving grace. Be exalted above this world. Be exalted above our mess. Be exalted, O God, today and forever, in Jesus. I have struggled with God’s timing versus my timing for as long as I can remember. It has been an area that I have been tormented about. I have had tormenting dreams and mental battles about this for as long as I can remember. As I age, I have heard each new wrinkle taunting me…”You’re not getting any younger,” and reminding me of each disappointment in life…until now! Hello revelation of Jesus in this area!! Recently I heard Him speak to me loud and clear and I hope that in sharing this, you will also hear Him, so your years will be full. I have been walking with God for 23 years. When I started my journey, every gifting I had been given seemed to be fully alive and fully active. I knew instantly what I was called to do and I was on a fast track to get there…that was until all of the interruptions of my life happened. (You can read my story under about Mel on my home page.) Years of sickness, hospitalizations, the death of our daughter, and destitution in many areas of my life felt like complete derailment. My story was not how I envisioned my life and I spent a lot of my days in the boxing ring with Strife to make things happen in one corner and his opponent, Peace and waiting on God to move, in the other. I stopped telling anyone about my struggle because I knew I would get another, ‘pep talk’. I swore if another Christian (though well-meaning) told me the stinking story of the guy who rejected God’s help while trapped on his roof during a flood story, I seriously might have punched them. I knew myself and I was not unwilling to work hard, unwilling to step out in faith, unwilling to trust Him, unwilling to go against the grain, and a whole slew of other things. I knew me and I knew Him and I just couldn’t understand where the disconnect was. I was like Tom Hanks in Castaway, without the ball…no wonder I always loved that movie… Anyway, you get the picture, I felt isolated and rejected and derailed and stuck. I watched people rise and fall in their callings and I gloriously played spectator and cheerleader to them all and wondered what was wrong with me. Like Hannah in 1 Samuel 1 who had to share her life with the other woman…I’ve had to listen to my share of Peninnahs’ provoke me severely over the years. It would make me miserable. I couldn’t understand how the Lord had told them, “Yes”, and me, “Not right now”, again and again. I really understood the turmoil that Hannah must have felt. Even though she heard, “not right now”, she was given a double portion of His love and because of wrong thinking and wrong understanding, she was convinced His love was not enough. She knew that it was supposed to be enough, and just couldn’t figure out why it wasn’t…now that was ambivalence. What she didn’t understand was that He was prodding her on in her faith to believe for more, she just didn’t understand the process she was in. Her destination was firm, it was her journey that was the mystery. Being from rural Missouri, that speaks to this girl. In one fell swoop I understood what the last 23 years had been about. I understood and was grateful. I could breathe again. You know the long deep breath. In and out. The way the journey looks doesn’t change the destination. But man is perception everything. There is this scripture that says that His goodness leads us to repentance. What that means is that when you see just how good He is, you change your mind about who He is. In one instant, I changed my mind about His love for me, in this area. I was able to see the last 23 years as His way of loving on me, not rejecting me. His way of honoring who I was and not forcing me to be someone I was not. His way of allowing me to go through the hard stuff that needed to be gone through without a fuss or extra drama. Like picking the petals of a daisy, I now say, “He loves me. He loves me. He really, really loves me.” It’s not that I didn’t have a revelation of His love, because I did, but in this area I was blinded. This revelation has produced rest in me. It has quieted my heart and opened my mind to a different way of thinking about my life and it has blown a fresh breeze of love my way. I now see…and for me that makes all the difference. Are you on the back roads? Time to see…time to understand…time to rest…time to believe…time to breathe. Why do I let myself get so empty and lonely feeling? I don’t mean the kind of empty where you are poured out like a drink offering empty, I mean empty, lonely, tired, depressed, hopeless…when I know that I am empty without Him? I am created to experience Him. To look in His face and know this love and know this devotion and know this kindness and know this help and know this strength and know this peace all of my life, and it is readily available, yet I don’t come? I know that I come to Him with nothing and He expects nothing, yet I still don’t connect. Is it time or lack of it, is it busyness, is it disappointment? I perceive it is different for each of us. I know for me it is rooted in performance. In my mind I understand He doesn’t want an act, He wants me…the good, the brilliant, the bad and the ugly. So why do I avoid Him at times? Why do I not wake up, roll over and proclaim in the most endearing tone, “Good morning Holy Spirit!”? For me, when I don’t feel successful, when I feel hopeless, or powerless I assume I haven’t performed as perfectly as I should or I ignore Him when He hasn’t performed the way I hoped He would…I warned you really ugly. I look in a mirror right now. You know that I always thought the King James version was literal. It says a glass and I just thought of that as being like windows at my house, really dirty, distorted and hard to see through with clarity. But I looked up the meaning today and did you know that it doesn’t mean glass at all, it means a mirror. Not something you see through, something that reflects you. It liberated me. Right now we see in a mirror. We see what we are spiritually becoming incrementally. Similar to viewing your body age with a time lapsed camera. I have been looking in a mirror all of my life thinking I was looking through a dirty, hazy, blurry window at Him, never able to fully know Him. He doesn’t want me waking up every morning putting on a show for Him, judging myself, manipulating His presence or rejecting it. He knows that I see only partially in a mirror, but He doesn’t. I am known better than I know! I am seen better than I see! I am heard better than I hear! I am led better than I lead! I am graced more than I grace! I am helped more than I help! I am loved more than I love! I can seek His face because He knows all of my limitations are at rest in Him. My face to face encounters come because of His love not mine, they come because I am known by Him. 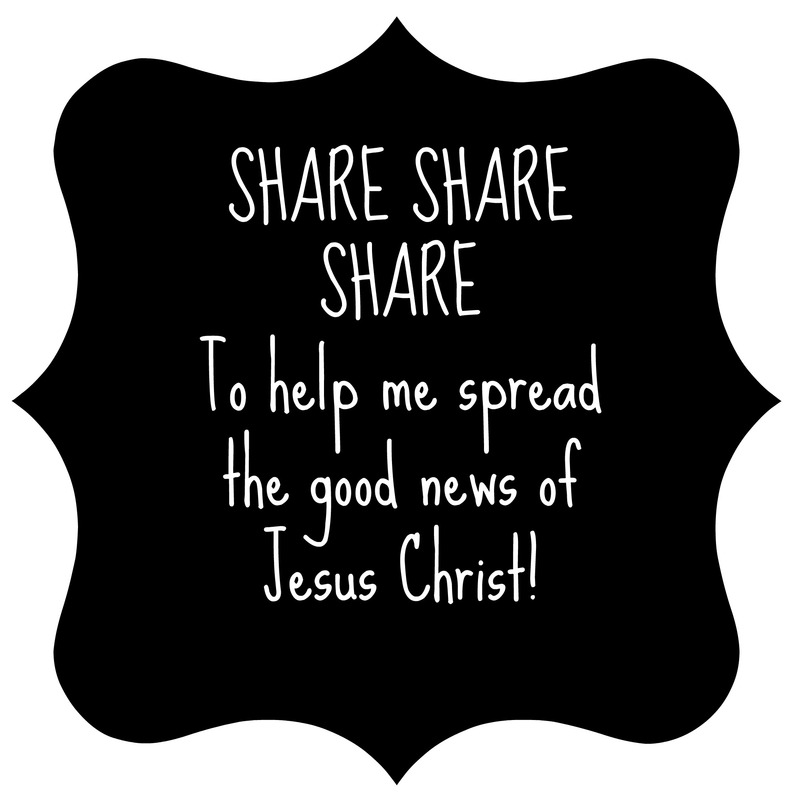 He is the Well by friend, come partake with me today! Tagged abuse, Addictions, afraid, Child sexual abuse, Christ, condemnation, depression, Does God love me?, fear, Forgiveness, God, God's love, Grace, healing, Health, heaviness, Help, Help me, Holy Spirit, Home, hope, hopelessness, isolation, Jesus, lonliness, Lord Jesus Christ, stress, suffering, Where is God? Tagged abuse, Addictions, afraid, Child sexual abuse, Christ, condemnation, depression, Does God love me?, fear, Forgiveness, God, God's love, Grace, healing, Health, heaviness, Help, Help me, Holy Spirit, Home, hope, hopelessness, How to write a New Year's resolution, isolation, Jesus, Life, Living Water, lonliness, New Year's resolutions, Obedience, Power of God, revelation, sickness, suffering, suicide, trust, Where is God?